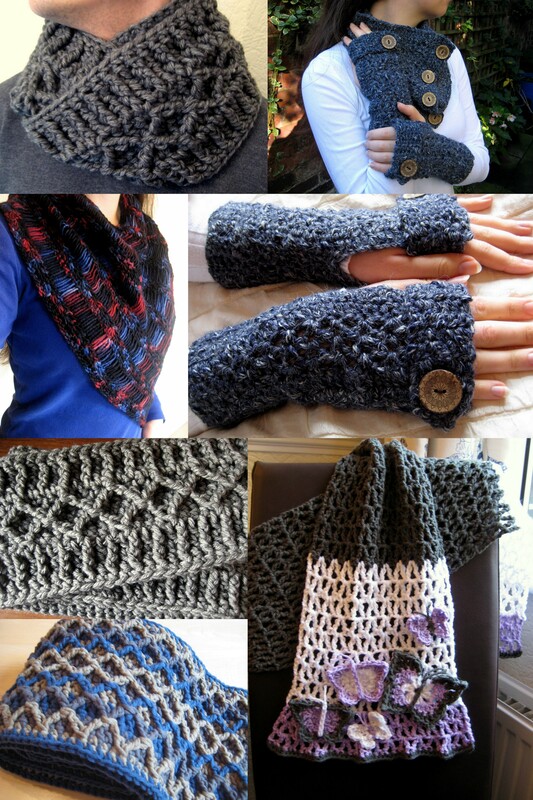 As you may remember from my earlier post on bracelet patterns, I’m currently going through my old posts and adding pdf downloads to my patterns (in both US and UK crochet terms). 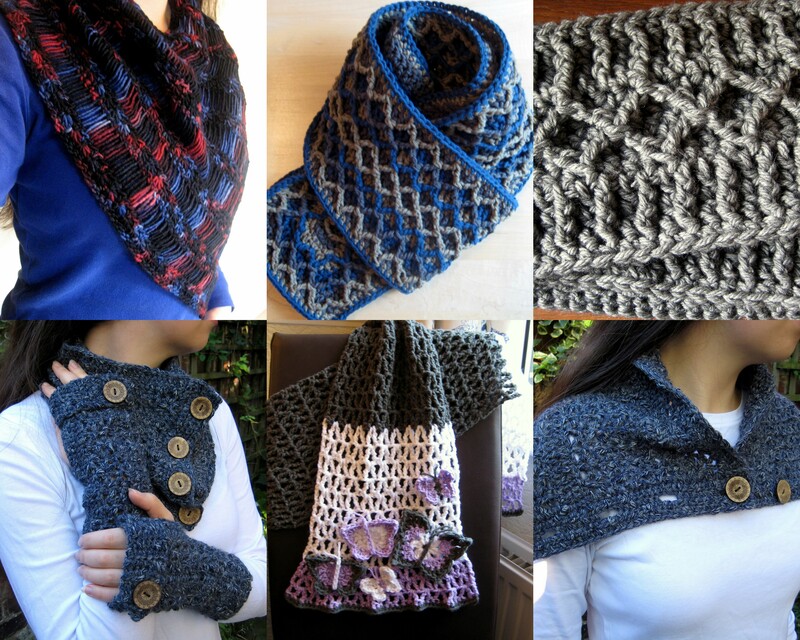 As the weather seems to have turned chilly recently, I thought I’d move on to these scarf patterns instead. 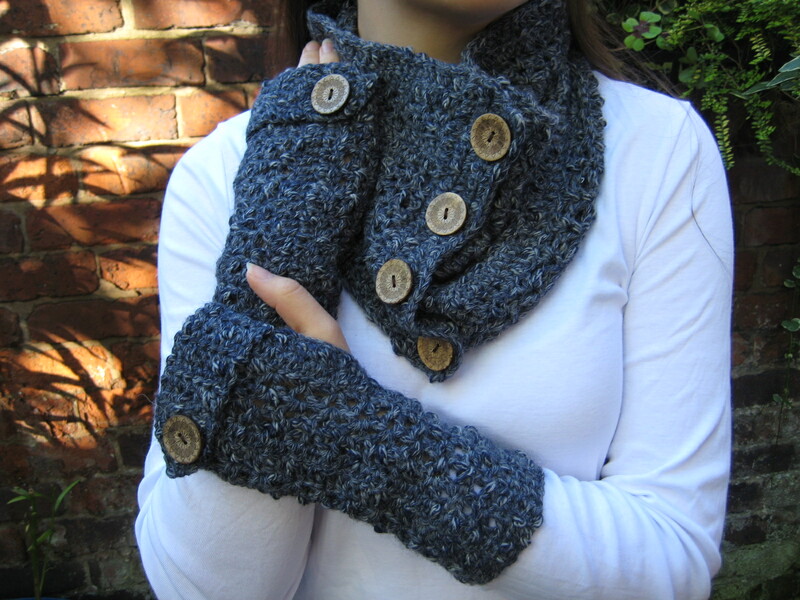 And I included the Easy Textured Fingerless Gloves so you can make the set ready for autumn. I hope you have fun with these – they are all pretty simple patterns, except possibly those which include the diamond post stitches. But since I have now ventured out into the world of videography, hopefully those of you who might ordinarily be afraid of this stitch can watch my video and give it a try! 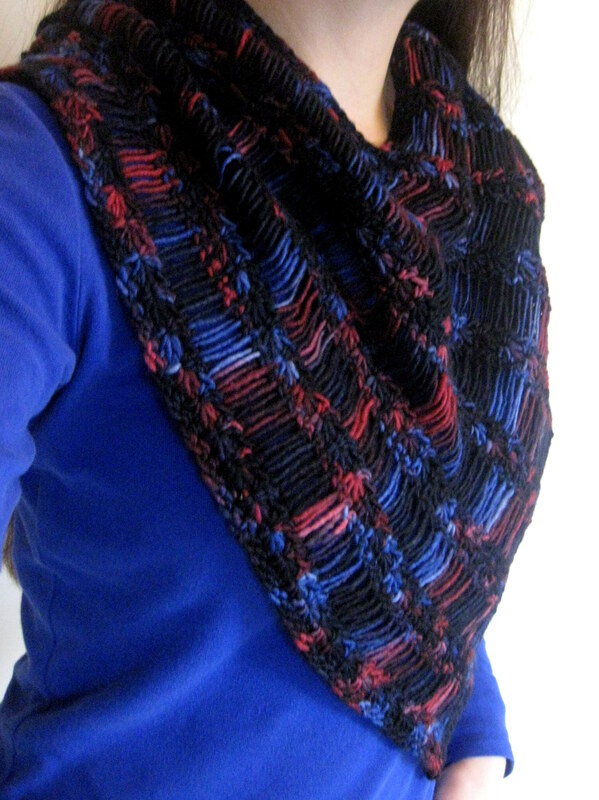 Whenever I wear this I always think “This is my most favourite scarf ever!” – but I also think that about my Multiplicity Lace Shawl too. Fortunately I don’t have to decide! 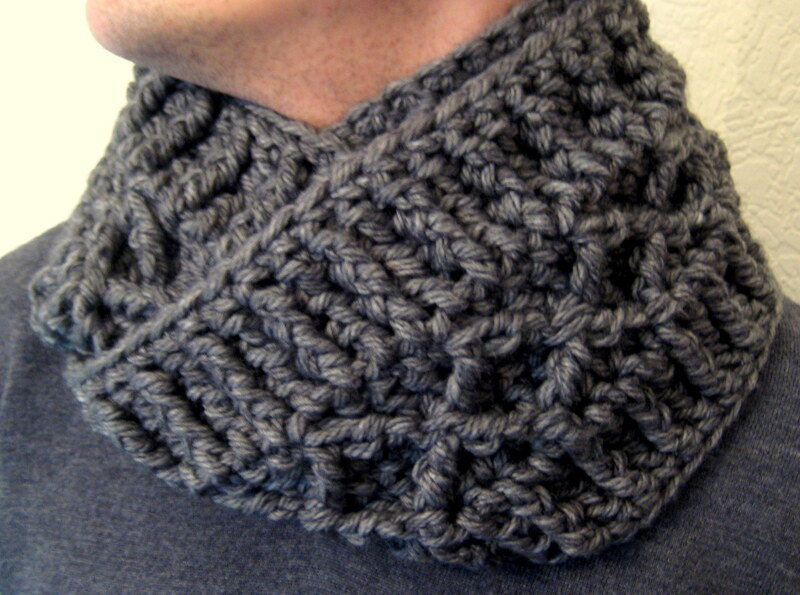 This set is so simple and quick to make, it’s perfect for making a quick gift and you can button the cowl in a few different ways too. I made this as a gift for my Grandad who feels the cold, so I made sure I did a nice warm scarf for him. It’s great for a guy gift or for women, depending on the colours you choose. This was a really fun project to make – you can add as many colours as you like! 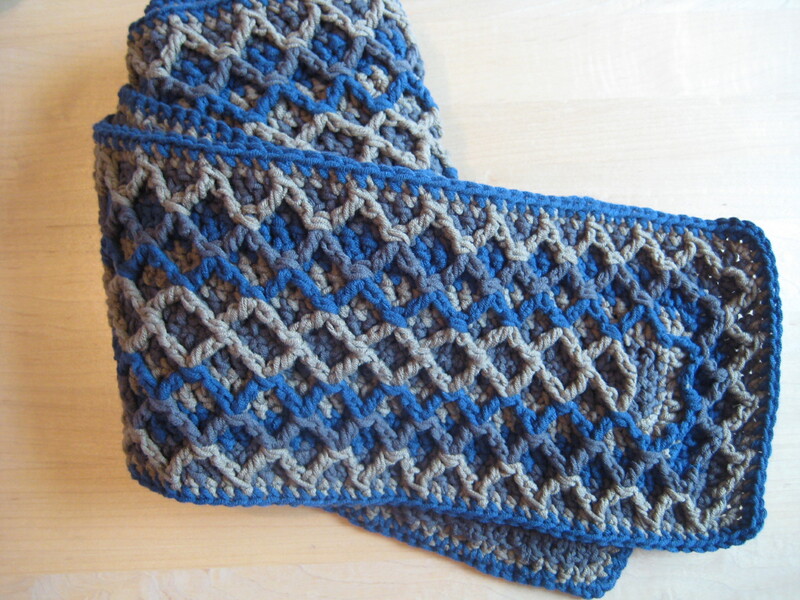 This one was for my Dad so it’s another great unisex pattern. 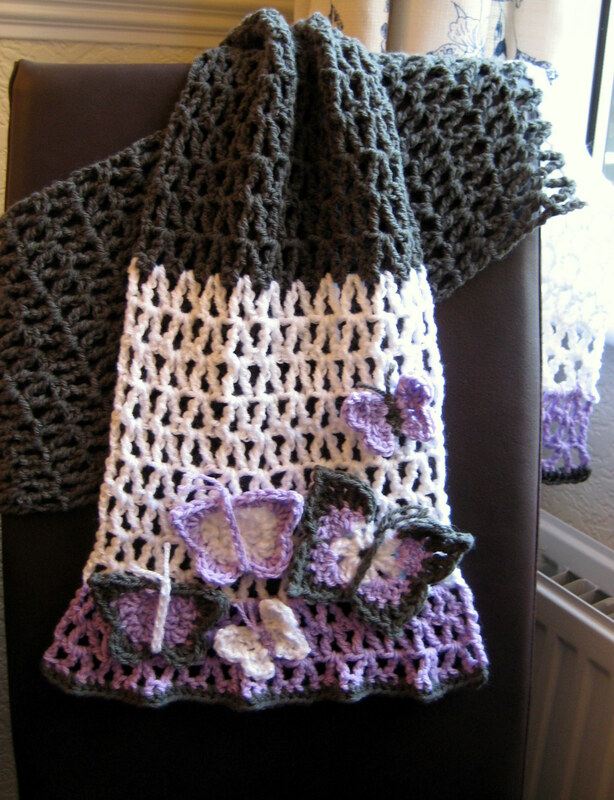 I really love the drape these tall stitches created – perfect for the butterfly theme! Plus, it’s super quick to work up too, and you can vary it by adding your preferred applique elements.